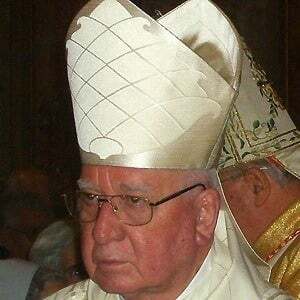 One of the Cardinal electors in the 2005 papal conclave, who was the first non-Italian to announce the election of the pope. He earned a PhD in theology in 1955. He taught theology at the Pontifical Catholic University of Chile and philosophy at the Major Seminary of Santiago, both of which are schools he attended. He was born in Santiago. He was made a bishop by Pope John Paul II.